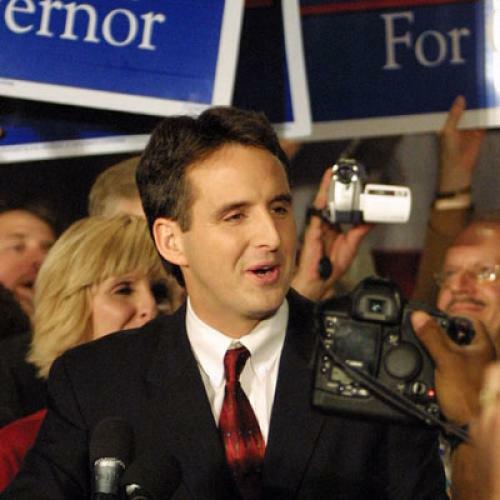 Chris Orr's post about the early assembly work on Tim Pawlenty's 2012 presidential bid is interesting in that he handicaps the Minnesotan primarily in terms of who he is not: not the flip-flopping, health-care-reforming Mormon Mitt Romney, not the disorganized and "goofy" Mike Huckabee, not the divisive and erratic Sarah Palin, and not the non-candidate David Petraeus. Thus Chris captures the basic problem with Pawlenty '12: what, precisely, is his positive appeal? Yes, he's a bona fide cultural conservative; that checks an essential box, but you can't throw a rock at any Republican meeting these days without hitting ten people avid to end legalized abortion and stop gay people from getting married. Yes, he coined a nice phrase--"Sam's Club Republicans"--to illustrate the need for a broader GOP base. But absent any real agenda for appealing to these folks, it's nothing but a slogan, and when two young conservatives, Ross Douthat and Reihan Salam sought to fill out the phrase with actual policies in a recent book, they were generally hooted off the stage by their ideological brethren. Yes, he's governed a blue state, but has never been terribly popular in Minnesota or had any real national following. Pawlenty's rather bland political profile was probably best reflected by the circumstances under which he was passed over for the 2008 vice-presidential nomination. According to Dan Balz and Haynes Johnson's recently published book on the 2008 campaign, Pawlenty was a finalist along with Palin in the veep sweepstakes after other candidates were eliminated for a variety of reasons (Lieberman and Ridge because they were pro-choice, Romney because McCain forgot how many houses he owned and couldn't have a rich running-mate). Fully understanding the riskiness of Palin, McCain went with her anyway after his pollsters told him Pawlenty wouldn't win him any votes. In other words, Pawlenty was, and remains, a fine "on-paper" candidate who doesn't have much else going for him. Yes, he seems to be putting together a pretty good campaign team. And yes, he's made at least one attempt to get into the manic spirit of today's conservatism by flirting with "tenther" nullification theories. But unless he undergoes both an ideological and personality change of a major nature, he's never going to be more than a third or fourth choice among the kind of hard-core conservative activists who dominate the Republican presidential nominating process (particularly in Iowa, where familiarity with Pawlenty as the mild-mannered governor of a neighboring state might actually hurt him). Probably the best case for Pawlenty '12 is that he's the kind of candidate you might want to nominate in one of those years where your party can only lose by taking chances. You know, kind of like Bob Dole just after the 1994 elections.